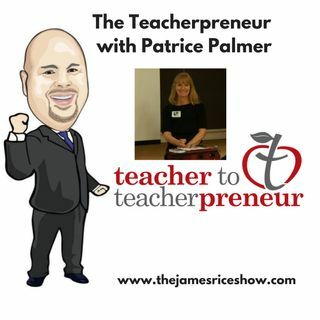 James is joined by Patrice Palmer from Teacherpreneur - https://www.teacherpreneur.ca. Patrice has more than 22 years’ experience as an adult educator, trainer and writer in Canada. She spent 7 amazing years teaching in Hong Kong and has taught students from 8 to 80 in a variety of programs such as ESP, EAP, vocational and Business English. Her educational background includes a Master of Education from Brock University, a Master of Arts from the Ontario Institute for Studies in Education ... Maggiori informazioni (OISE) of the University of Toronto. If you are thinking about being a Teacherpreneur, then you must listen to this fascinating interview. Plus, Trainer Saber gives us an update on James' Body Transformation. How much weight has James lost since starting his diet?